Both pan watercolors and those in tubes can be thinned with water for airbrushing. When using pan watercolors you can lather the paint with a paint brush and then transfer it via the brush to the airbrush color cup (or reservoir) for spraying. 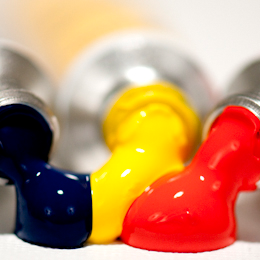 Tube watercolor, the type most commonly used, can be thinned with water in a cup or jar and then poured into the color cup. 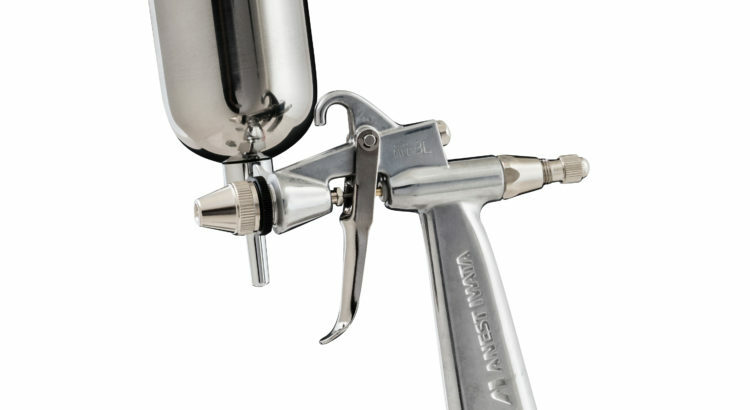 You can find a variety of spray guns in your local art supply store, and auto paint supply store two types are usually carried—the conventional spray gun and the HVLP (High Volume Low Pressure) spray gun.